Custom manufactured micro parts for a wide range of medical instrumentation applications to control air-flow rates, fit into micro-sensors, magnetic stirrers, and more are available from VECO USA, Inc. of Burlington, Massachusetts. VECO Precision Medical Parts are photo-etched from stainless steel, nitinol, and other materials to precise submicron tolerances in thicknesses from 0.01 mm to 2.0 mm with burr-free holes, slots, sharp edge definition, and other special features. Capable of tolerances to ± 0.01 mm and holes-slots to 0.02 mm for micro-filters, depending upon configuration, typical highly repeatable parts produced include flow plates, spacers, mesh, and screens. Ideal for products requiring micro parts with greater precision than afforded by EDM or micro-stamping, VECO Precision Medical Parts can incorporate virtually any hole shape and pattern design, including complex apertures and slits. 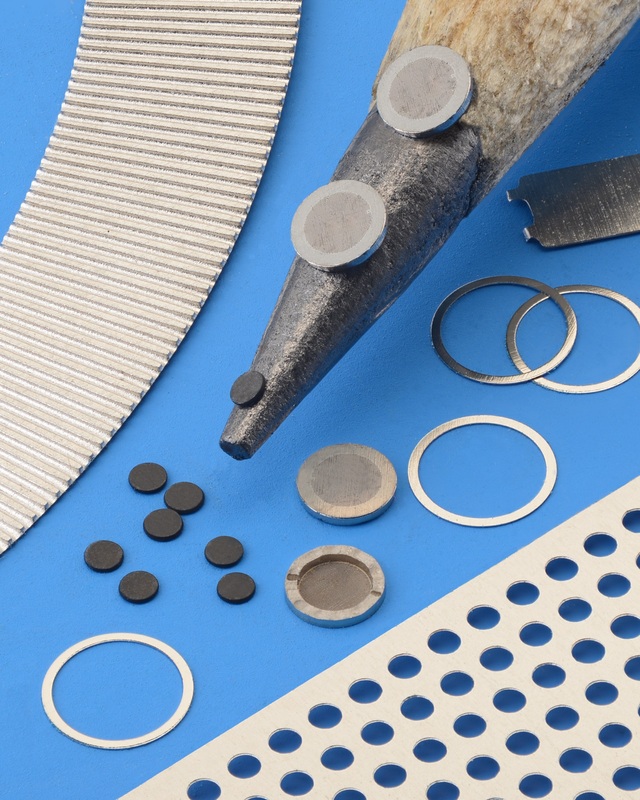 In addition to photo-etched parts, the firm can supply electroformed parts which are manufactured through electro-deposition to achieve high accuracy and repeatability. VECO Precision Medical Parts are priced according to configuration and quantity. Price quotations are available upon request. Charlie Vlachos, North American Sales Mgr.